Due to its low height, the Arran LED-recessed light is perfect for lighting up steps around the home. 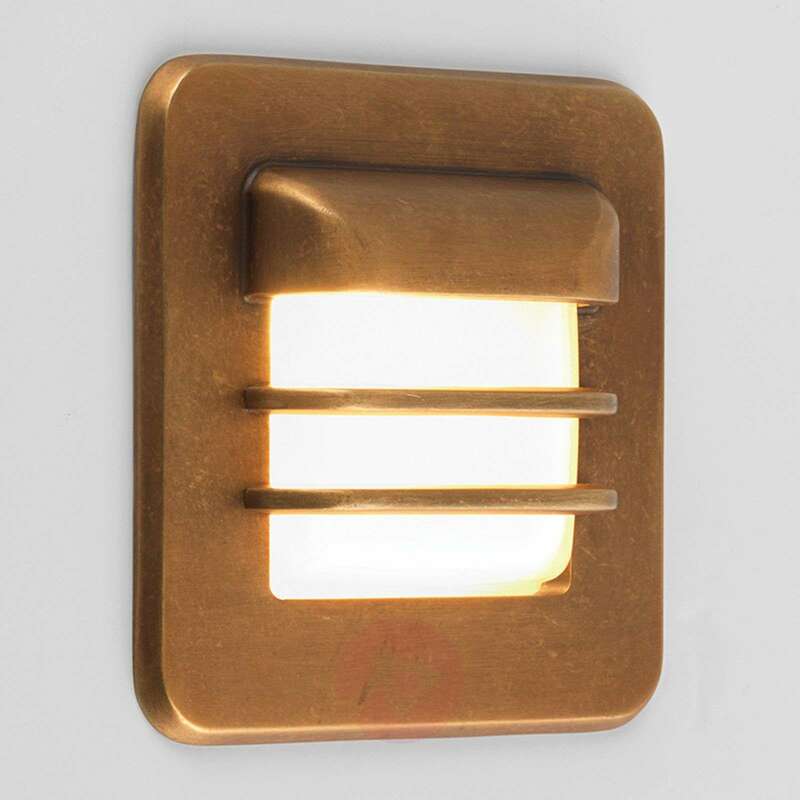 It has an angular brass body with slits through which the light shines downwards and to the front. The satin-glass panel also ensures that the light is distributed particularly homogeneously. Over time, the weather causes a beautiful patina to form on the natural brass surface, giving the light a special charm. The light is also seawater-resistant so that it withstands the salty air predominant in coastal regions. The LED driver is not included and can be ordered as an accessory. Please note: to preserve the original condition of the light and prevent the patina from developing, the surface should be regularly polished with a cloth and then rinsed with fresh water.